"There has been enormous debate regarding the possibility of a link between … childhood vaccinations and the supposed development of autism." The first systematic international review of childhood vaccinations has found no evidence of a link to the development of autism or autism spectrum disorders (ASDs), according to researchers from the University of Sydney. The comprehensive review, published in medical journal Vaccine, examined five cohort studies involving more than 1.25 million children, an additional five case-control studies involving more than 9920 children obtained via systematic searches of international medical databases MEDLINE, PubMed, EBASE and Google Scholar up to April 2014. 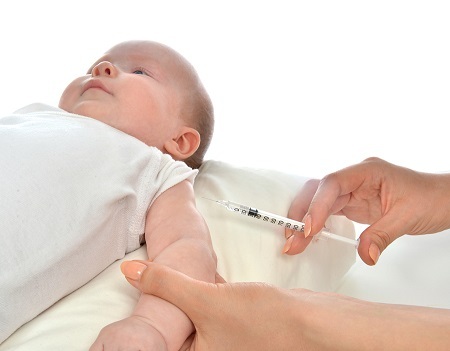 Both the cohort and case-control studies revealed no statistical data to support a relationship between childhood vaccination for the commonly-used vaccines for measles, mumps, rubella, diphtheria, tetanus and whooping cough and the development of autism or ASDs. Paper senior author Associate Professor Guy Eslick from the Sydney Medical School said these vaccines were the ones which had received the most attention by anti-vaccination groups. "There has been enormous debate regarding the possibility of a link between these commonly-used and safe childhood vaccinations and the supposed development of autism," Associate Professor Eslick said. "A rising awareness of autism cases and the claimed – but not proven – link to childhood vaccinations has led to both an increased distrust in the trade between vaccine benefit outweighing potential risks and an opportunity for disease resurgence." Eslick continued: "This has in recent times become a major public health issue with vaccine-preventable diseases rapidly increasing in the community due to the fear of a 'link' between vaccinations and autism. "This is especially concerning given the fact that there have been 11 measles outbreaks in the US since 2000, and NSW also saw a spike in measles infections from early 2012 to late 2012. "Vaccine-preventable diseases clearly still hold a presence in modern day society, and the decision to opt out of vaccination schedules needed to be urgently and properly evaluated." Associate Professor Eslick said to date there had been no quantitative data analysis of any relationship between autism, autism spectrum disorders and childhood vaccinations. "Our review is the first to do so, and we found no statistical evidence to support this idea," he said. "Our extensive international review found childhood vaccinations including measles, mumps, rubella, diphtheria, tetanus and whooping cough are not associated with the development of autism or an autism-spectrum disorder. "Furthermore, our review found the components of the widely-used vaccines (thimerosal or mercury), nor the measles, mumps and rubella combination vaccines (MMR) are not associated with the development of autism or an autism-spectrum disorder. "The increase in parents deciding not to vaccinate their children has substantially decreased 'herd immunity' among populations, subsequently increasing the risk of catching potentially more serious infectious diseases. "Thus the risks incurred by not immunising a child is increasing substantially as the level of immunisation coverage in the population falls. "The data consistently shows the lack of evidence for an association between autism, autism spectrum disorders and childhood vaccinations, regardless of whether the intervention was through combination vaccines (MMR) or one of its components, providing no reason to avoid immunisation on these grounds." And yet the anti-vaccination campaigners are still proclaiming that the research is biased and does not demonstrate anything conclusive. Unfortunately I do not believe that they will ever concede that they could in fact have made an error of judgment and placed not only their own children but millions of others at risk by refusing to vaccinate.